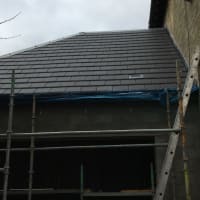 All types of Roofing Services covered. In Coatbridge, Airdrie, Bellshill, Motherwell & Glasgow. Chimney repairs. Lead work. 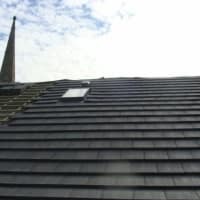 From a small slate or tile repair to a whole new roof, we can be trusted to give you the best service you will receive from any roofing firm. We have been trading since 1987 giving the building industry and all our customers 30+ years of faithful service. 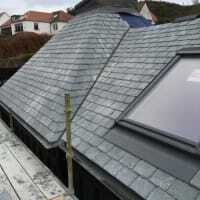 Our guarantee is, if we are still trading, then your roof is guaranteed. 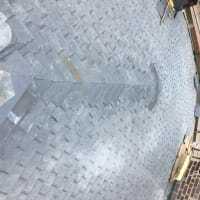 We don't give silly 30 year guarantee's when the material won't last that long, nor will the firm giving you the guarantee last. We are a trust worthy firm who you can depend on. 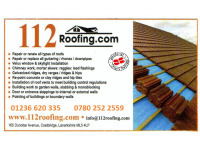 112 Roofing is the way forward with customer relations and workmanship. Thank you for your review. It was a pleasure doing work to an old building. 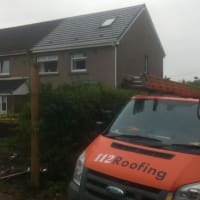 Had brilliant service from 112 roofing from start to finish. Got a visit and quote the day after my enquiry then job done within a few days. Great job and nice staff too. Would highly recommend this company. Strip and replace tiles with new soffits, guttering and downpipes. Well what can I say about the job that Graham and the guys did from 112 Roofing. Absolutely first class service from start to finish. Graham gave us a brilliant quote and also broke down everything that would be done.Now how many companies would do that!!! The job was done within the time scale that was said. And the guys didn't leave a mess behind them. All in all a very professional job, and my wife and I would highly recommend 112 Roofing. Thank you for your review,, it is always good to hear comments from customers, good or bad. Booked 112 roofing to do a full new roof on my house. 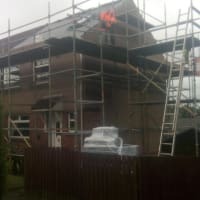 Excellent communication from Graham via phone and email and always happy to supply quotes and descriptions of the works. The price was very competitive compared to other quotes. Graham came and started the job on the day we had agreed. He and his team were a nice bunch of lads, happy to stop and talk and inform us of their progress. The job was finished just ahead of schedule and on leaving they had cleared up all the mess and to be honest left the paths cleaner than before they started. The job has been finished to a very high standard and I cannot fault a single thing. I will recommend this company to all of my friends and family. SORRY ABOUT THIS REVIEW, BUY I'M AFRAID THAT WHEN YOU COME AND SEE A JOB AND GIVE A PRICE, A PRICE THAT WAS ACCEPTED, AND THEN DON'T EVEN BOTHER TO TURN UP TO DO THE JOB , THEN I'M AFRAID THAT THIS IS UNACCEPTABLE. WERE YOU TOO BUSY, WAS THE JOB NOT BIG ENOUGH, I DON'T KNOW YOU TELL ME, BECAUSE YOU NEVER EVEN BOTHERED TO LET ME KNOW, YOU STILL HAVE MY EMAIL ADDRESS AND FONE NUMBER, ITS GOOD TO TALK, IN THIS REVIEW I CAN'T FAULT YOUR WORK, BECAUSE YOU DIDN'T DO ANY, POOR POOR POOR.